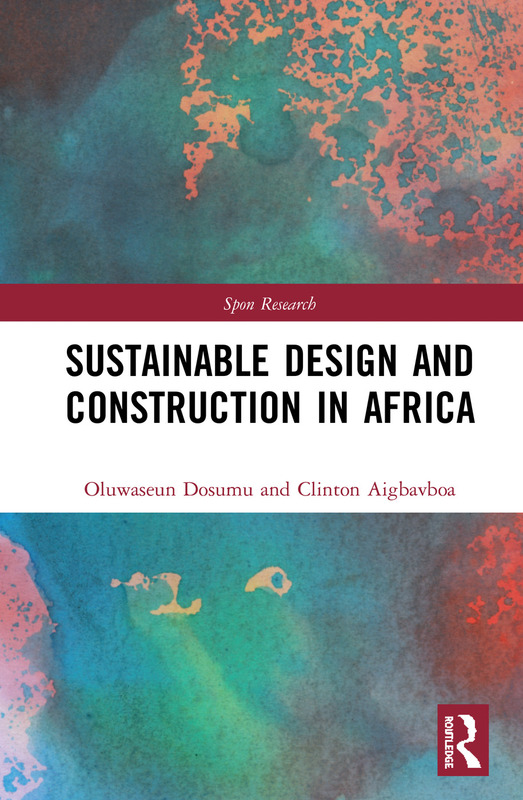 This bookaddresses some of the countless challenges faced by developing countries when adopting sustainable design and construction and offers suggestions for the way forward for African development projects. The authors argue that the pervasive non-consideration of the interrelationship between the elements of sustainable design and construction is the reason for the current failures in sustainable design and construction in developed countries. By treating sustainability as a complex system, the authors provide the missing link between the design and construction of projects in a sustainable way with a view to improving industry and project performance. In doing so the book posits the need for improved sustainability practice in developing countries, lessons for developing countries from the successes and failures of sustainability adoption by developed nations, factors influencing adoption of sustainability and effects of sustainable designs and construction on productivity, human health and the environment at large. This book will be of interest to construction researchers, practitioners, professional bodies, housing policy makers and government institutions as well as training and funding providers in these areas. Oluwaseun Dosumu is a Research Fellow in the Department of Construction Management and Quantity Surveying, University of Johannesburg and a Lecturer in the Department of Building, University of Lagos. He holds National Diploma, Higher National Diploma, BSc (Hons), MSc and PhD (Building) certificates. He is Chartered with the Council of Registered Builders of Nigeria. He has taught several courses relating to sustainable building design and construction, and project/construction management among others. His research focus includes sustainable building, construction management and project performance etc. He has published both international and local scholarly articles in recognized journals and conferences. Clinton O. Aigbavboa is an Associate Professor in the Department of Construction Management and Quantity Surveying, University of Johannesburg, South Africa. Before entering academia, he was involved as quantity surveyor on several infrastructural projects, both in Nigeria and South Africa. He completed his PhD in Engineering Management and has published several research papers in the area of housing, construction and engineering management, and research methodology for construction students. His research interest is situated in the fields of sustainable human development, with the focus on: sustainable housing regeneration (urban renewal and informal housing), Life Cycle Assessment in the Construction Industry, remanufacturing, leadership in low-income housing, Biomimicry, post-occupancy evaluation and green job creation. He has extensive knowledge in practice, research, training and teaching. He is currently the Vice Dean: Postgraduate Studies, Research and Innovation in the Faculty of Engineering and the Built Environment and the Head: Sustainable Human Settlement and Construction Research Centre, University of Johannesburg, South Africa. He is also an author of two research books that were published with Springer Nature and CRC Press. He is currently the editor of the Journal of Construction Project Management and Innovation (accredited by the DoHET) and has received national and international recognition in his field of research. The South Africa National Research Foundation rates him as a young researcher with the potential of establishing himself within a five-year period.